Sheep and cattle in Vermont were trained to eat this plant, and the cattle at Black Queen Angus enjoy it without any training at all. Could it be on the menu for your livestock? If you have bedstraw on your farm or ranch, you are not alone. Bedstraw (Galium verum) grows throughout southern Canada and the northern United States. For many of us it becomes a problem. It thrives in fallowed fields and land with low soil fertility and low pH, but can also flourish on well-managed lands with high-nitrogen, high-phosphorus, neutral soils. Cool and wet, or droughty, bedstraw tolerates a range of conditions better than many of our usual forage species. Morgan Hartman took this photo of his cattle grazing bedstraw in pasture. But for those in the know, this resilient “weed” could make a very good forage for educated livestock. 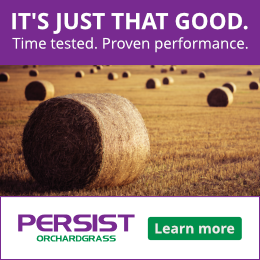 When the Vermont Pasture Management Outreach program tested bedstraw in the ’90s, they found that the protein levels were around 19%. That means that it’s very palatable and good for your livestock. 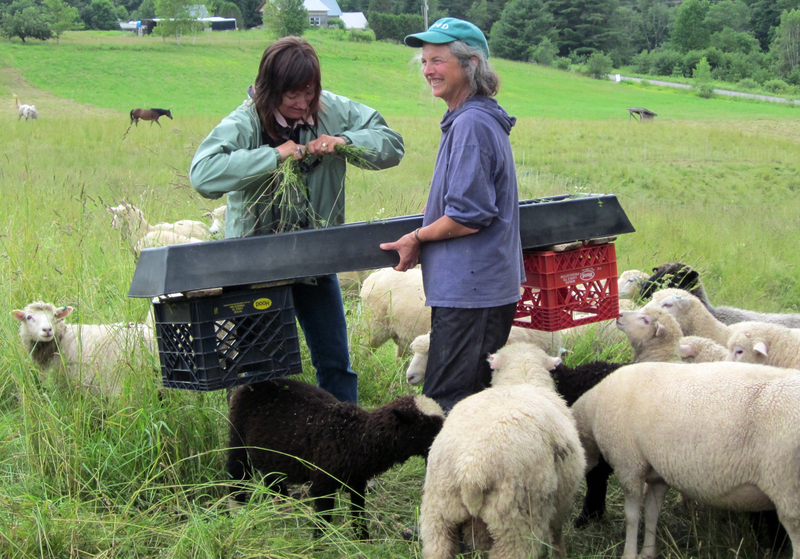 Kimberly Hagen, of the Vermont Pasture Network trained her sheep to eat bedstraw in 2011 as shown in the video below. 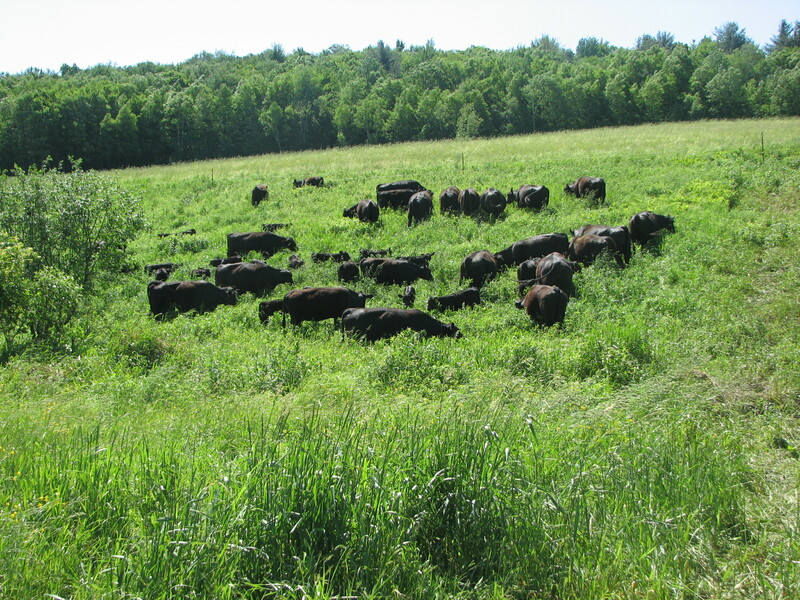 When she moved them to new pasture elsewhere as part of her parasite management program, she trained the visiting cattle to eat this forage. We know that mowing bedstraw before it has gone to seed can slow the rate of spread. Our problem becomes the timing of mowing because bedstraw, once it has begun to flower, can go to seed within days or practically overnight. Then mowing works against you, spreading the seed around the field. That’s where using your livestock to graze this plant might work more in your favor. Trained livestock will graze bedstraw throughout the growing season. Sheep trained to eat bedstraw decreased its presence from 30% of the plants growing in a paddock to less than 10% in a single season. So, while getting rid of bedstraw may be nearly impossible, keeping it in check and minimizing its spread is more likely. Bedstraw has a variety of uses that we can take advantage of. People in Oregon and southwestern Washington might watch for sweetscented bedstraw because it indicates moist, well-drained sites, and in riparian zones suggests high productivity sites for conifers. It also has medicinal applications. It’s still used to a limited degree as a popular remedy in gravel, stone, and urinary diseases. Bedstraw has also been used as a remedy for epilepsy and hysteria, and is still considered for these uses in France. If you don’t plan to feed it to your animals, you could use it in your own menu. The flowering tips yield an acid liquor which was thought to form a “pleasant summer drink.” It is also sometimes called “Cheese Rennet” because it can curdle milk, and has been used to make cheese and add color to it. Our suggestion: take advantage of your bedstraw! Perhaps this summer you can enjoy a cool glass of bedstraw liqueur with some bedstraw assisted cheese, while watching your livestock graze it!